It is not enough to have a 3d cart store. Promoting it well is extremely important, as you would like more and more customers to find your wide range of products. This can be easily facilitated when you have a big marketplace such as eBay integrated to your online store. But if you feel that the integration process can be too Greek for you, we are here at ChannelSale to help you out. Our 3d cart eBay integration services are second to none, and designed to provide you with optimum ease. 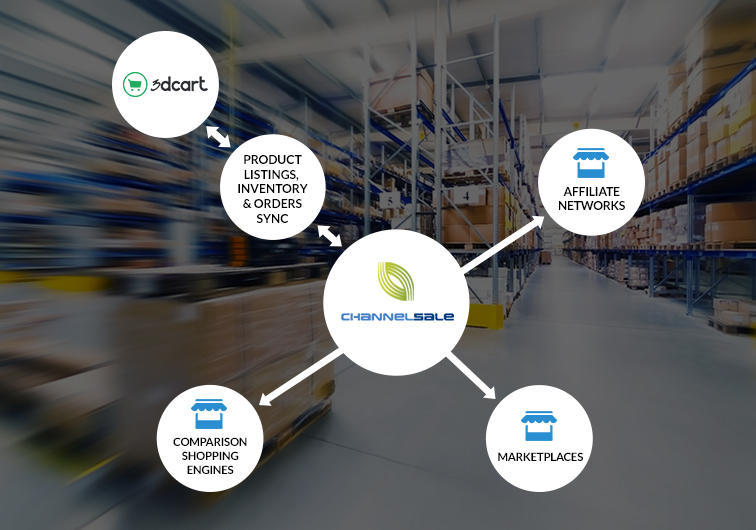 At ChannelSale, we ensure that each aspect of the management of your 3d cart store is seamless and convenient for you at every step. Whether you need help with real-time inventory management or automated product listing, we can assist you with the same. We can easily synchronize eBay with your 3d cart store with our 3d cart ebay extension. If exposure is what you need online, we can guarantee that to you across multiple platforms. Whether you need shipping and order tracking management services or help with tracking your product stocks, we can offer completely customizable and scalable services by using 3d cart eBay plugin. Even if you have different products of multiple materials, colours and sizes, we can help you out with our advanced software management tools. We have variable pricing structure for top marketplaces, such as eBay. We can also easily mark up/down pricing when your products are to be displayed across other shopping engines. Our ecommerce solutions are first-rate and we depend on our marketing pros for this purpose. Whether you need help with managing multiple 3d cart stores, logging activities or syncing your stocks, we can use 3d cart eBay connector to provide you with effective assistance with the same. 3d cart to Amazon granular level product category mappings pave the way for apt listing in sync with most appropriate product categories. ChannelSale includes data on eBay for as many product attributes as available in your 3d cart source feed while including custom fields you may require. Examples: Bullet point descriptions, search terms, video link, multiple warehouse inventory, gender, pattern etc. We can give exposure to your business across multiple channels and allow you to sell your products more effectively. Our centralized data management can prevent any possible problems in the data transfer or data entry process.